If you've been charged with a criminal offense, you'll want the best defense attorney to defend you and protect your rights. I am committed to your case and offer you the best defense possible. 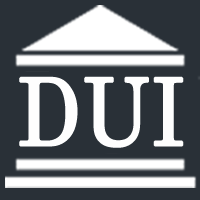 Dan Hinrichs has over 20 years of experience aggressively defending DUI cases. Whitty, McDaniel, Bodkin, & Combs, LLP, attorneys at law was founded in 1880 in Coos Bay, Oregon. Coos Bay is the largest city on the Oregon coast, and is a commercial hub for southwestern Oregon. The majority of the firm's work is for clients in Coos, Curry, and Douglas counties. We are frequently engaged by Oregon and national clients in regard to business transactions or litigation in southwestern Oregon.